The INS Rehav, Israel’s fifth Dolphin class submarine, arrived home to its Haifa port yesterday with a crew of 50, to much official fanfare. according to President Ruby Rivlin. Over 220 feet (67 meters) long and weighing more than 2,000 tons, this diesel-fueled sub has an air-independent propulsion system, which operates through a fuel cell instead of oxygen-dependent sources, allowing it to remain underwater without surfacing for weeks at a time. A sixth submarine was purchased from Germany in 2013, and will be complete in a few years. “Israel’s first-ever stealth fighter jet took a significant step towards completion at the end of last week, when the new “Adir” F-35 entered the advanced production stages at Lockheed Martin’s plant in Forth Worth, Texas. A ceremony was held on-site to mark the milestone. In 2013, Lockheed Martin Aircraft Industries announced that Israel would be the first nation outside of the US to receive its F-35 stealth fighter jets – capable of evading radar and integrated air defense systems. It is the most expensive weapon in U.S. history. 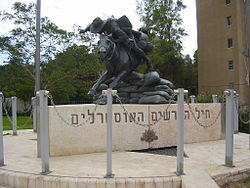 “Deputy Foreign Minister Tzipi Hotovely (Likud) on Wednesday led a tour of Samaria of the foreign service school cadets, accompanied by local council head Yossi Dagan, as part of the effort to familiarize Israel’s future emissaries abroad with the realities on the ground back home. “Traditionally, Israel’s foreign service has been staffed with old guard, pro-left personnel, who on occasion sided with Israel’s opponents over issues like the value of Jewish settlements in Judea and Samaria. Hotovely, who is identified with the right-wing, pro-settlement segment of her party, has set out to change that through educating the next generation of Israeli diplomats. Unfortunately, what I have observed is that foreign officials/governments seem to think they have the right to intrude in Israeli affairs, making comments that are inappropriate (because, who asked them?) and, far worse, trying to manipulate matters to their liking. Minister of Justice Ayelet Shaked (Habayit Hayehudi) has sponsored a bill regarding NGO funding transparency. A draft has already passed through the Ministerial Committee on Legislation – with a nod from the prime minister – and is on its way to the Knesset, where there is a good likelihood it will pass. The bill would require all NGOs that receive more than 50% of their funding from foreign governments to declare the precise sources of their funding and to make the fact of that funding known when they enter the Knesset (via wearing a badge). It does not penalize them for receiving that funding, nor does it prohibit them from continuing to receive those funds. The purpose of this (long over-due) bill is not difficult to comprehend. Foreign governments invest money in specific Israeli NGOs, with compatible positions, in order to advance their own agendas. As a result of this foreign funding – which is often considerable – the selected NGOs are better able to promote particular positions inside of Israel. This may include the lobbying of members of Knesset and bringing petitions to the Court, all done in the name of Israeli organizations, not foreign governments. The foreign governments are thus able to have an effect on the policies and practices of NGOs that are registered as Israeli organizations. The result is an intrusion into the workings of the Israeli government by foreign governments. Minister Shaked makes the point, with great validity, that if foreign governments wish to influence Israel’s government there are proper diplomatic channels for doing so. There has been a considerable outcry from certain quarters about this pending legislation. This rush to protest, in and of itself, I would suggest, indicates how badly the legislation is required. As protests against the legislation have been advanced, there have been more than a few misrepresentations of fact. It has been said that this bill is directed selectively at left wing organizations. Not so. It applies across the political spectrum without distinction. However (surprise! ), it happens that international governments (primarily the EU or EU nations) are only interested in left wing NGOs. Left wing organizations such as Shalom Achshav (Peace Now) and B’Tselem, which work mightily to remove Jews from Judea and Samaria, are major recipients directly, or indirectly via NIF, of European funds. 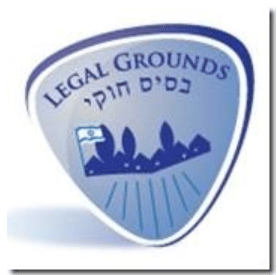 The Legal Grounds Campaign, which I co-chair, works just as mightily to demonstrate the legal basis for Israel’s rights in Judea and Samaria. And yet, not even one European nation has ever offered to provide funds for us. I say this tongue in cheek. Of course, we have never expected European funds, for the Europeans promote Palestinian Arab rights to a state. What we see then is an inequity. Left-wing, pro-Palestinian Arab organizations and Jewish nationalist organizations do not operate on a level field, in terms of making their respective cases to the public and the Knesset. For, as a result of foreign funding, the left wing operates with far greater fiscal ability to do PR, run tours, hire lawyers to bring court cases, produce expensive videos, etc. There have also been claims that this legislation will interfere with free speech, and I have no clue, frankly, as to how they think they can make this case. The representatives of NGOs supported by foreign governments will be as free to speak out and make their case as they ever were. What may happen, of course, is that their words will be less heeded when it is understood that foreign interests may be promoting them. And that, quite frankly, is precisely as it should be. Or, to put it in the vernacular: Tough. Aaron Kalman, cited above, refers to “infringement of sovereignty,” I would like to return to this briefly. A sovereign state is autonomous, operating independently without outside control or infringement. When I wrote about foreign governments thinking they have the right to intrude in Israeli affairs, this is what I was talking about. There is a pattern we can discern – we see foreign governments (Western governments) that fail to respect Israel’s sovereignty. This problem transcends the issue of funding for NGOs. One of the nations that has registered “concern” about the pending legislation is the US. US Ambassador to Israel Daniel Shapiro spoke out on this and held a meeting with Minister Shaked to explore the issues. After he made this statement, I contacted an American-Israeli lawyer who has helped with the drafting of the proposed Israeli legislation and has familiarity with FARA, as well What I learned is that it is not as simple as Shapiro would have it. He makes it seem as if there must be a contract between a foreign government and a US individual or organization before foreign agent registration is required. However, my legal advisor said, actually FARA allows for determination that someone is a foreign agent to be made via oral agreements as well. It is a question of “circumstances,” which can be proven by “context,” and not just by documentation. This resembles what I discussed above. We might ask why the US is suddenly so concerned about Israeli democracy. This issue did not worry Obama when he sent political advisors to Israel during an election campaign, in an attempt to influence the election. One is hard put not to come to the conclusion that the true American concern here is blocking the transparency bill. “Former secretary of state Hillary Clinton considered a secret plan created by her then-advisers to foment unrest among Palestinian citizens and spark protests in order to push the Israeli government back to the negotiating table, according to emails released as part of the investigation into the Democratic presidential frontrunner’s private email server. “In a Dec, 18, 2011, email, former U.S. ambassador to Israel Thomas Pickering suggested that Clinton consider a plan to restart then-stalled peace negotiations by kick starting Palestinian demonstrations against Israel. I close with a fascinating video of starlings doing a “dancing cloud” over Israel.